Are you looking for a stunning venue to take a family portrait? Are you recently engaged and looking for a beautiful venue to take your engagement or wedding photographs? 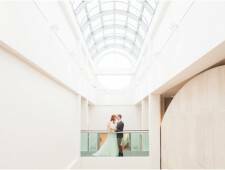 Let the modern architecture of our building be the perfect backdrop to preserve your moment. The soft light, glass and stone work in our lobby offers a relaxed environment to capture that special shot. 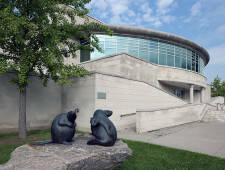 Our permanent collection gallery and public artworks are unique and perfect for a creative photo-shoot.